Rewards Canada: October 9 Update: Double Aeroplan Miles at Costco.ca, Emirates YYZ-DXB bonus and 17 new airline & hotel bonuses! 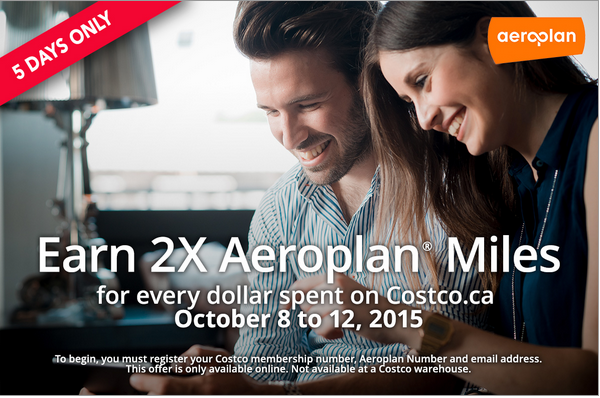 October 9 Update: Double Aeroplan Miles at Costco.ca, Emirates YYZ-DXB bonus and 17 new airline & hotel bonuses! A somewhat quiet end to the week of travel rewards news and more! Missed mentioning this yesterday, but we did our monthly update of Emirates' Miles Accelerator offers which has a 16,000 Skywards Miles bonus for Toronto-Dubai round trips in January in First Class. Find out more here. 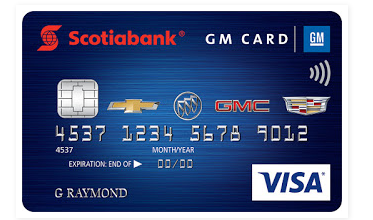 Yet another Rexall AIR MILES bonus . This is for 50 Bonus Miles and does not require a coupon. Simply spend $50 or more between Oct 9 and 11. Costco.ca is offering double Aeroplan Miles on all online purchases made by Oct 12 (Darn I just ordered stuff last week!) Find out more here. - 1,000 Bonus Starpoints for stays on the Grand Opening Offer at The Gwen, a Luxury Collection Hotel, Chicago More... Until ?